Here at our resort, we think family fun at an affordable price is a top priority! With our Free Tickets you can indulge in your vacation without spending a lot of money! Get ready to enjoy all that Myrtle Beach has to offer. 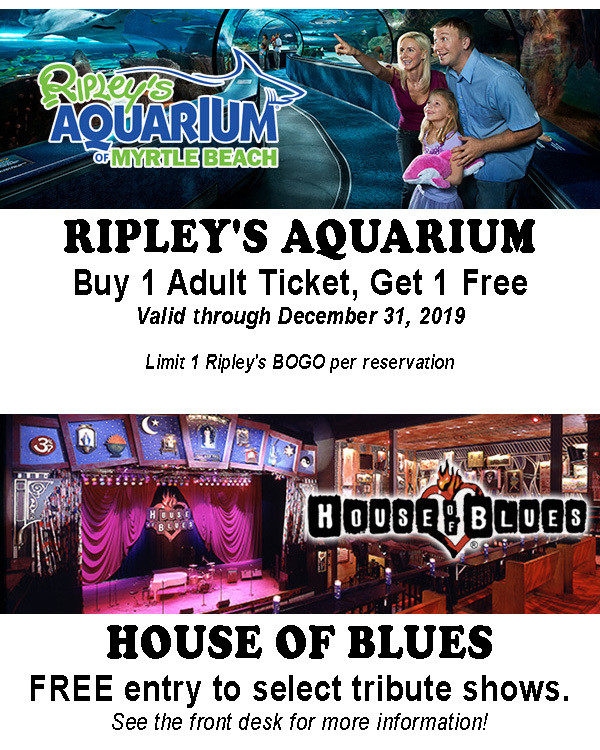 Take advantage of our low rates, combined with these fantastic free ticket offers for the perfect Myrtle Beach vacation. Reservation must be booked direct through VacationMyrtleBeach.com or the resort. Offers subject to end at any time; not valid with any other offers or VMB Card offers. All ticket sales final. Other restrictions may apply. See additional services for more details. Valid at Myrtle Beach locations only.